Reid Construction Systems is the Australian market leader in the provision of lifting, connection and precast formwork systems for use in concrete construction. Reid offers a comprehensive range of ferrules, lifting anchors & clutches, cast-in channel, continuous reinforcing systems, construction formwork systems and construction chemicals. This range includes some of the construction industrys most reliable brands:ReidBar (Threaded Reinforcing), SwiftLift (Lifting Systems), JAWS (Edge Lift Panel Anchors), SPARTAN (Formwork System), BraceSet (Panel bracing anchors), Halfen (Connection and lifting systems) and Nox-Crete (Construction chemicals). 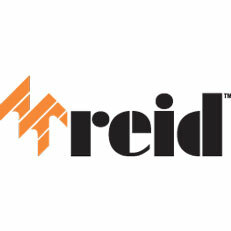 A member of the global ITW group, Reid has a proud history of service to Australian industry that dates back to 1921. An Australian business that can draw on the engineering resources of one of the worlds largest diversified manufacturers, Reid has built its reputation on a tradition of engineering excellence, and a sustained record of innovation aimed at delivering solutions that make concrete construction faster, safer and more efficient.